I watched a wine-tasting DVD on a school night – a night when I was determined not to open a bottle of wine. Just five minutes into the Essential Guide to Wine Tasting, backbone like a jellyfish, I wandered into the Place Where My Wine Is Kept, grabbed a bottle, glass, corkscrew, and poured. A big hefty glass of shiraz. So much for no wine on school nights. I was fed up of “swirling” an imaginary glass when the people on the small screen got to the best bit. Tasting, ooooh-ing, ahh-ing. But one of the reasons I headed for the red was that I was a teensy bit grumpy over one word. 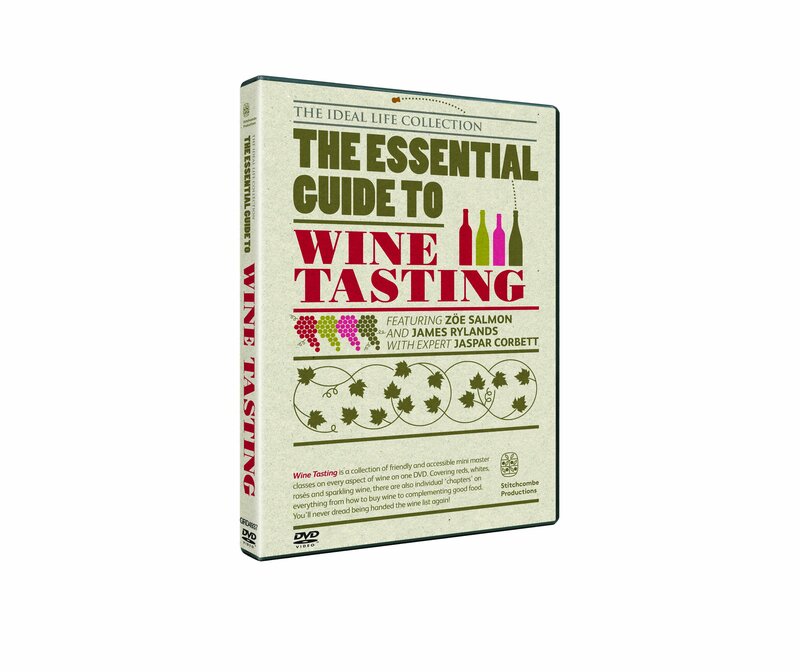 The Essential Guide to Wine Tasting (RRP £14.99) is one of a series of DVDs in The Ideal Life Collection (stockist details from www.stitchcombe.co.uk) Others include Keeping Bees and Keeping Chickens. Now you may not know me from Adam but I bet you can guess why I opted for the wine tasting one. Bees scare me and chickens are always running off to cross the road. Back to the DVD. I had a bit of a paddy as wine expert and merchant Jaspar Corbett said in his opening piece to camera: “My style of tasting wine is perhaps traditional. 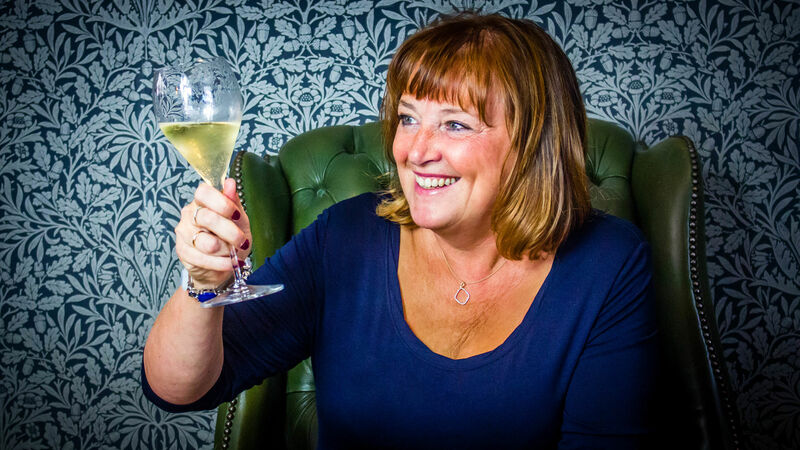 “I’m not a big fan of the current modus which says let’s demystify wine. I think if you take the mystery out of wine you remove one of the most integral parts of it. So I like to try and play on that. My hastily poured shiraz helped me form these thoughts. I DO think wine should be demystified. My favoured word to describe wine would be “fascinating”. It should not be elitist. It is about people. It is about farmers growing grapes. It is about a shared experience with family and friends. It is about the amazing twists and turns in a winemaker’s head which can create totally different wines from grapes picked in the same vineyard on the same day. It’s about the differences in wines from one grape variety growing on continents thousands of miles apart; where sun, sea, wind, soil, slopes and winemakers all contribute to the flavours in the bottles you and I open. It is about turning an ordinary meal into something special. It is about colours and aromas. Tastes that make you stop, think, savour. All of that is fascinating. Really bloody fascinating. Not a mystery. Does the word “mystery” put people who want to learn more, understand more, on the back foot? “Oh, I’ll never understand,” they may say, “it’s a mystery to me” … and then stick to the three wines for £12 they’ve been buying for years. This is what I think. Take someone by the metaphorical hand and talk about all those fascinating things in the world of wine and – the best bit – taste some too. Well, there’s no mystery in that. Is there? I’m not a wine expert. Yes, I’ve done some wine exams – but I’m still just an ordinary person wanting to share what I discover with people like me (God help them.) I’m fascinated. Hook. Line. Sinker. Wine needn’t be a mystery at all. Just Google the InterWeb and you’ll find heaps of free info, blogs, tasting videos and wine reviews. Long may my fascination with wine continue. I’m doing Mr Corbett a dis-service. Because as he spoke to his Wine Tasting Novice Guinea Pigs in the form of TV presenter Zöe Salmon and antiques guru James Rylands then things moved on apace and Mr Corbett was a very interesting, patient and amenable mentor. He shared lots of fascinating snippets from his garnered knowledge on chapters focussing on reds, whites, New World, Old World, food and wine pairing and sparklies, to name but a few. All that ramble over the use of one bloomin word. I don’t know how Dr Samuel Johnson ever managed to get his job done.